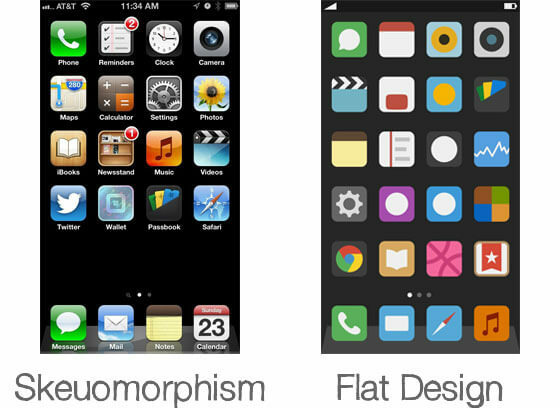 But what exactly is a flat design—and why should you care? As it turns out, flat web design is just as much about trend-setting as it is about improving the user experience. Let’s talk about why and how, and then I’ll share 11 resources to help you create your own flat style, responsive site. Flat design has been around for a while, but it really took off when Windows 8 and its “Metro” interface hit the stage, shifting design trends from bulky textures and gradients to vibrant colors, simple shapes and “flat” elements—hence the name. 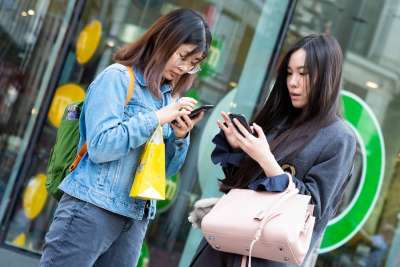 There’s also a considerable shift toward more white space and large typography, making it easy to browse the layout on a variety of devices. Flat design is also the antithesis to skeumorphism, a design term that simply means a digital graphic that has its inspiration from a real-life object. Apple’s previous designs focused heavily on the skeumorphism angle—you can see the hands on the analog clock or click buttons on the digital calculator. 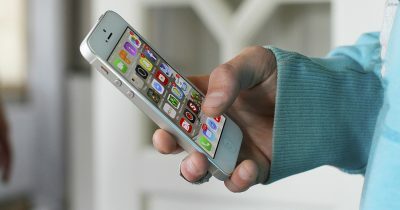 Except that when you’re sitting at a computer, the analog clock on your screen is difficult to read, and the calculator buttons are a pain to click individually when you could simply type them in instead. In these cases, large, flat, easily tappable buttons and digital interfaces would be much more inviting. And this idea has finally extended to the web as well. 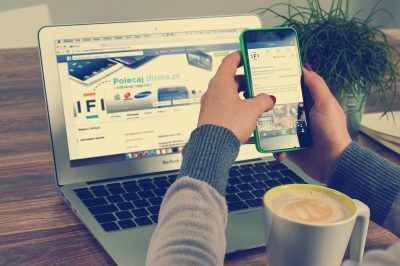 What Does it Mean for Website Users? Websites are naturally suited to blocks of content, a type of layout where flat design is totally comfortable. And, while I don’t recommend ditching your current design just to embrace a trend where it doesn’t make sense, there is a marked difference in the conversion rates of simpler, clearly illustrated sites versus their cluttered counterparts. 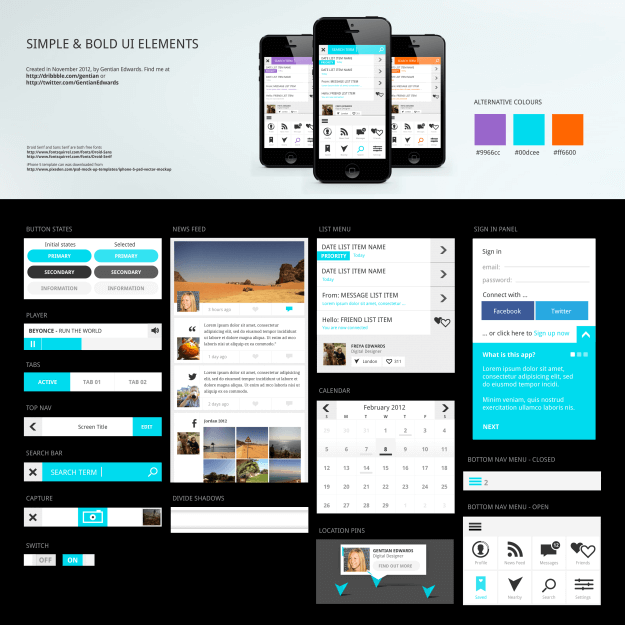 Plus, flat designs are endlessly adaptable and are perfectly at home in mobile environments as well as on tablets and regular computers, making them great for responsive designs. Glad you asked! There are tons of design resources out there to help anyone who wants to create a flat website design, but listed below are some of my personal favorites spanning a variety of categories. This wireframe design (also available as a PSD) will help you lay out your new flat website according to best design practices. 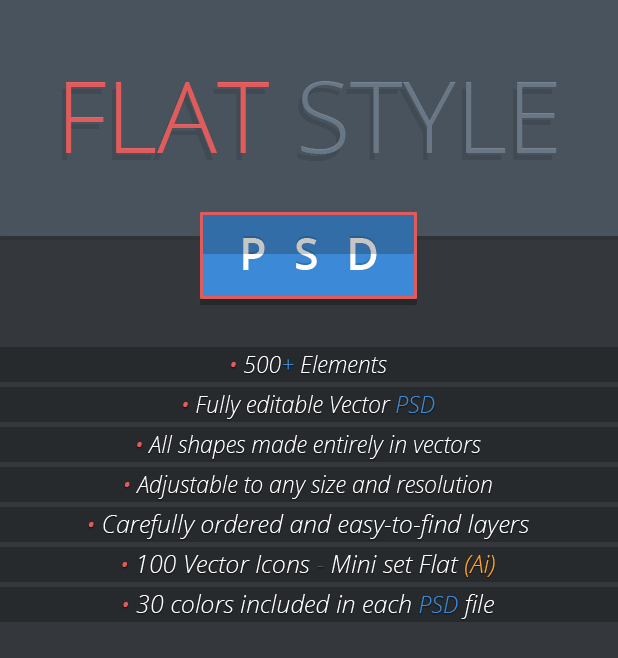 This collection contains 7 PSDs, a vector PSD, 500+ individual elements, as well as vector icons. 30 different colors available. Everything from music playlists to contact details and error messages are included here in a flat style. Free and commercial versions available. Furatto includes elements for landing pages, carousel slideshows, basic templates and a dashboard, among many other things. 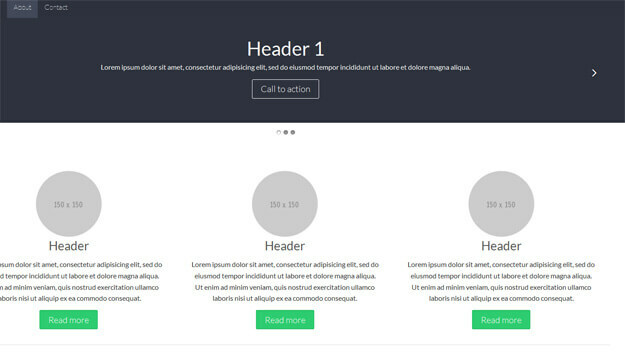 Its flexibility and ease of use let you create stylish layouts on the fly. 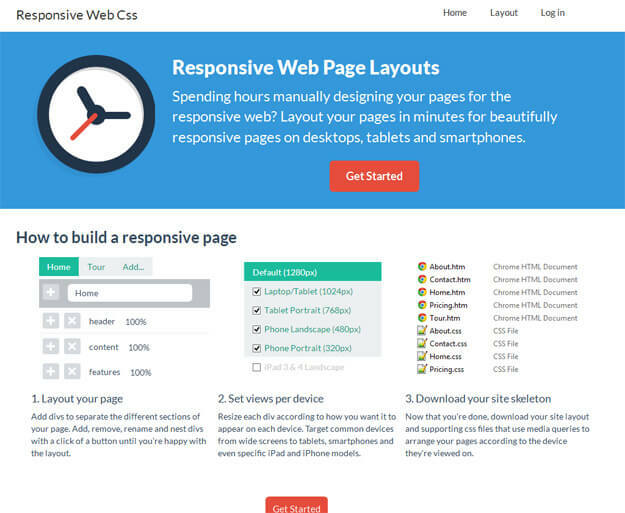 Responsive Web CSS is a quick way to prototype how your design will look in a variety of devices. This method saves hours of time and helps you get the layout just right without the hassle or guesstimation. 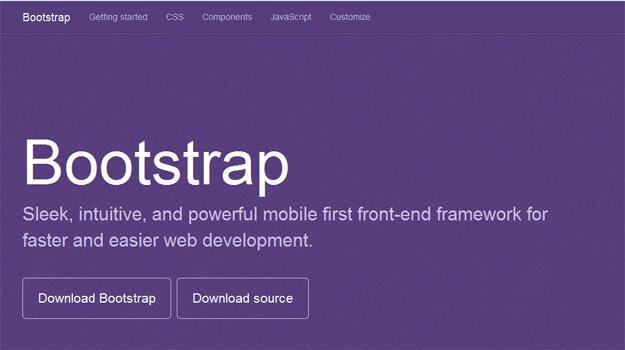 Twitter’s Bootstrap framework is one of the most popular choices for quickly building responsive designs. 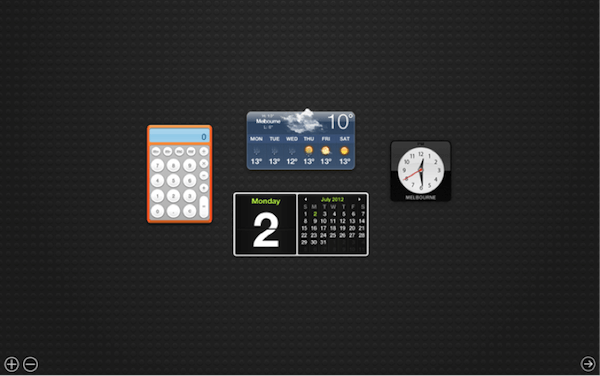 Dribble gives you a variety of user interface element in three distinct color schemes, including icons, maps, calendar, search box and more. 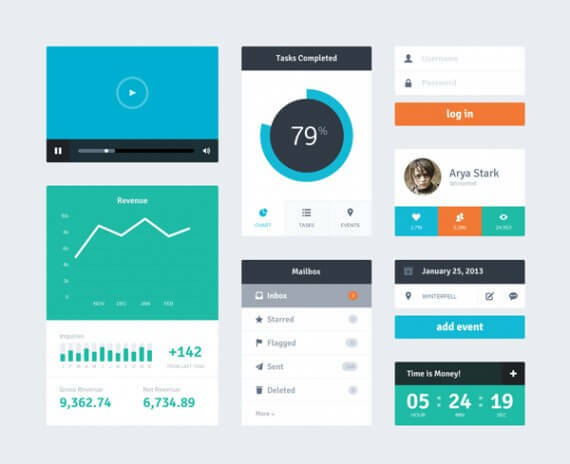 Here’s a beautiful user interface kit from Riki Tanone. A blog version is also available from that link. 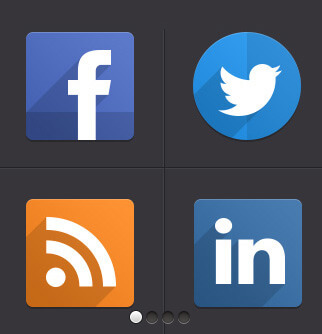 Pixedon offers 16 flat style social media icons, available as PSD. If your favorite social network wasn’t included in the 16 flat icon designs above, it’s bound to be in this collection of 40 social icons. 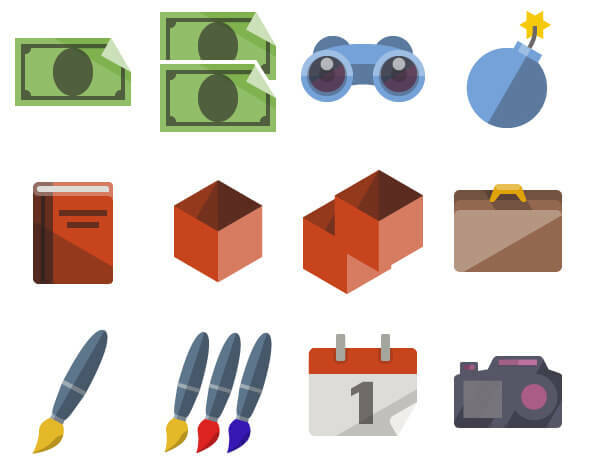 Get 3,000+ flat icons from IconShock, available as free (personal) and commercial varieties. 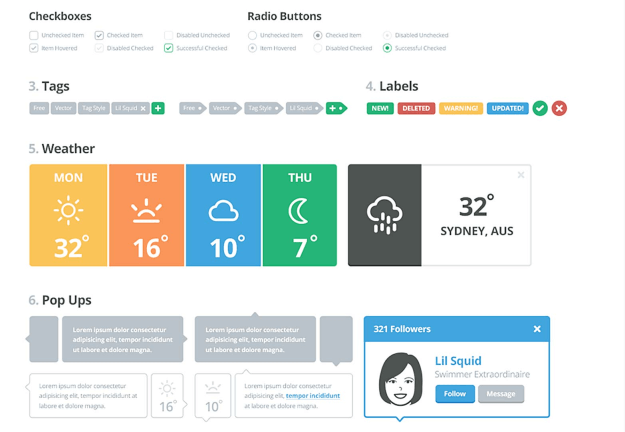 Flat UI colors gives you pixel-perfect colors for your flat web design. Just click and paste! What Are Some of Your Favorite Flat Web Design Resources? Those are my faves. Share yours in the comments below!